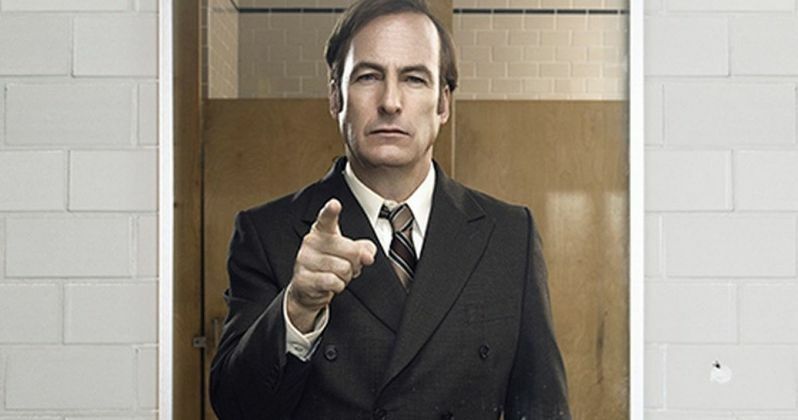 In just six days time, Breaking Bad fans will get to revisit the complex world of attorney Saul Goodman, a.k.a. Jimmy McGill (Bob Odenkirk) when AMC's new spinoff series Better Call Saul debuts with the series premiere "Uno" on Sunday, February 8 at 10 PM ET. This is just the first half of a two-night premiere, followed by "Mijo" on Monday, February 9 at 10 PM ET on AMC. Today, the network has released a four-minute preview, where Bob Odenkirk and series creators Vince Gilligan and Peter Gould break down the supporting characters. This new video gives us more insight into Chuck McGill (Michael McKean), Jimmy's older brother who, as Peter Gould explains, "believes that you get ahead by doing good," which is obviously the opposite of Saul/Jimmy's set of beliefs. We also hear from Patrick Fabian, who reveals that his character Howard Hamlin is "blessed by life." Hamlin runs the law firm Hamlin, Hamlin & McGill, which Saul sees as "the evil empire," according to Vince Gilligan. Rhea Seehorn explains the her character, Kim Wexler, an attorney at Hamlin, Hamlin & McGill, started out in the mail room and worked her way up, and we also hear from Breaking Bad star Jonathan Banks, who reprises his role as Mike Ehrmantraut, and teases a surprising origin story for his character. Unfortunately for Breaking Bad fans, Walter White (Bryan Cranston) and Jesse Pinkman (Aaron Paul) will not be featured during the 10-episode first season, but AMC has already issued a Season 2 renewal for the show several months ago, so perhaps we may see them next season. Check out this extensive video below to learn more about the Better Call Saul characters before tuning into the premiere this Sunday night.